All Patio Doors are made to measure and to your specification. 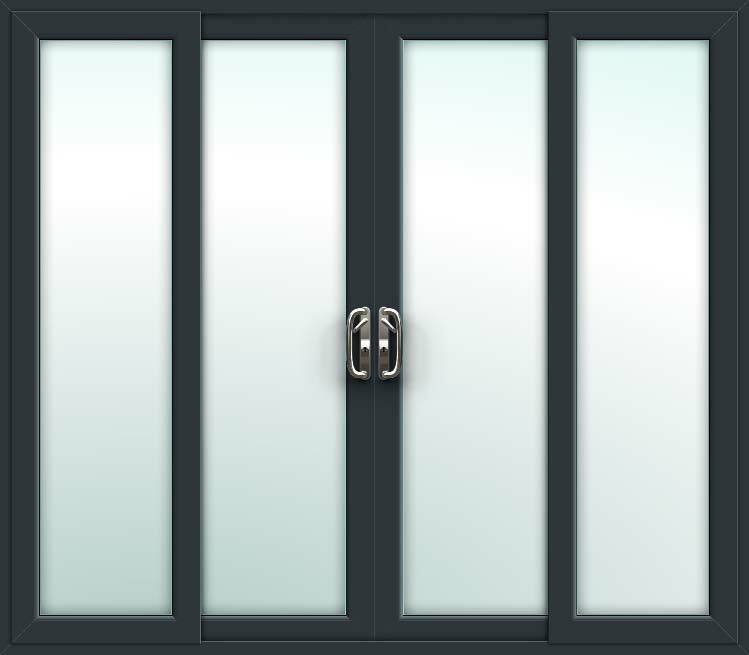 Made to measure supply only Grey 4 Pane Sliding Doors with high security multi point hook locking system. Galvanised steel reinforced frames for extra strength, with Pilkington low 'E' toughened double glazed 28mm units with black warm edge spacer. External cill and white handles included. Grey outside and white inside. High security multipoint hook lock system. Galvanised steel reinforced 70mm UPVC frame. Toughened double glazed 28mm Pilkington K (low e) energy saving safety glass to BS 6206. (if glazed). Achieves 1.6 W/m² K U Value with Thermal Upgrade. Fully sculptured profile featuring low-line gasket. Fully compliant with the latest Building Regulations. Thermal Argon & Edgetech Superspacer glass upgrade. Fitting kit - plastic packers & fixing screws (+£15). 10mm, 20mm and 50mm frame extenders available (+£5 per metre).